"Attorney" is similar in meaning to "lawyer." According to the research, more than 50% of people searching for such services online make their decision based on the image of the most relevant website. 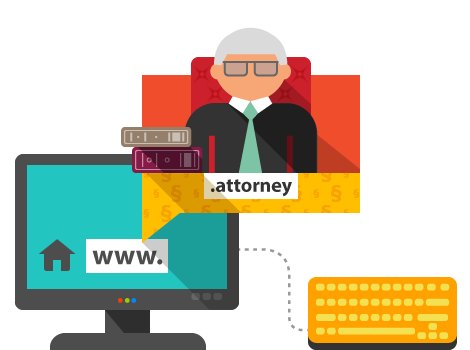 The .attorney domain provides an opportunity to choose the most suitable name for your site, because there are still many names available, while you can create a fine online image and win the trust of your customers.